The installation occurred yesterday at the hands of Card Rai and Patriarch Kirill during the 4th century saint's feast day according to the Orthodox calendar. The ceremony marks the good relations between the Maronite Church and the Moscow Patriarchate. As he waits for the conclave date, today Patriarch Rai is set to meet the speaker of the State Duma and the Catholic archbishop of Moscow. Beirut (AsiaNews) - During a religious ceremony held in Moscow's Annunciation Cathedral yesterday, feast day of St Maron according to the Orthodox liturgical calendar, the Orthodox Patriarch of Moscow and All the Russias Kirill I and the Maronite Patriarch of Antioch and All the East Card Bechara Rai placed a relic of the great 4th century saint inside the place of worship. A gift from the Holy See, the relic was given to Patriarch Rai by the apostolic nuncio to Moscow on his arrival in the Russian capital where he is currently conducting a pastoral visit. The relic is a bone fragment from the skull of the saint after whom the community is named. The skull is preserved in the Milan Duomo, Italy. Placed in a box made of precious wood, the relic was first brought to the cathedral in an open air procession before it was placed inside the church for the veneration by the faithful, including a great many members of the local Lebanese community. Metropolitan Archbishop Hilarion, head of the Department of External Church Relations of the Patriarchate of Moscow, took part in the celebration. The ceremony is part of an established tradition of bilateral meetings between the Maronite Church and the Moscow Patriarchate that began with Maronite Patriarch Emeritus Nasrallah Sfeir and continued with a visit by the patriarch of Moscow to Lebanon in November 2011. For the Vatican, this ecumenism of holiness is part of the process of rapprochement with Eastern Churches of which Patriarch Rai is currently responsible as a member of the Congregation for Eastern Churches. 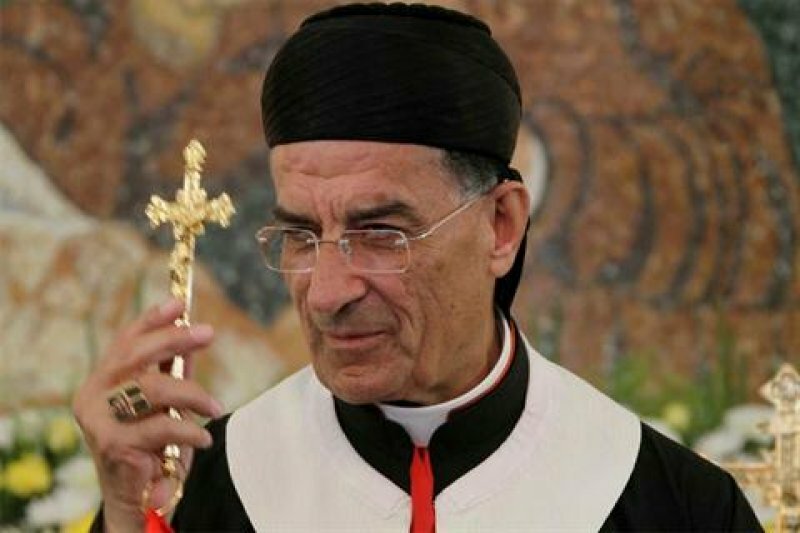 It is as a member of the Pontifical Congregation that the head of the Maronite Church has conducted pastoral visits to Cyprus, Antioch (Turkey), Iraq, Egypt, Jordan, Romania, India, and, more recently, Damascus in Syria. Today the patriarch will meet Sergei Naryshkin, speaker of the State Duma (the lower house of the Russian parliament), to discuss the Syrian crisis. Tomorrow, he will celebrate Mass in Moscow's Immaculate Conception Catholic Church and meet Mgr Paolo Pezzi, metropolitan archbishop of Moscow's Mother of God Archdiocese. After that, he will return to Lebanon to wait for the call to join the conclave that will elect Pope Benedict XVI's successor.